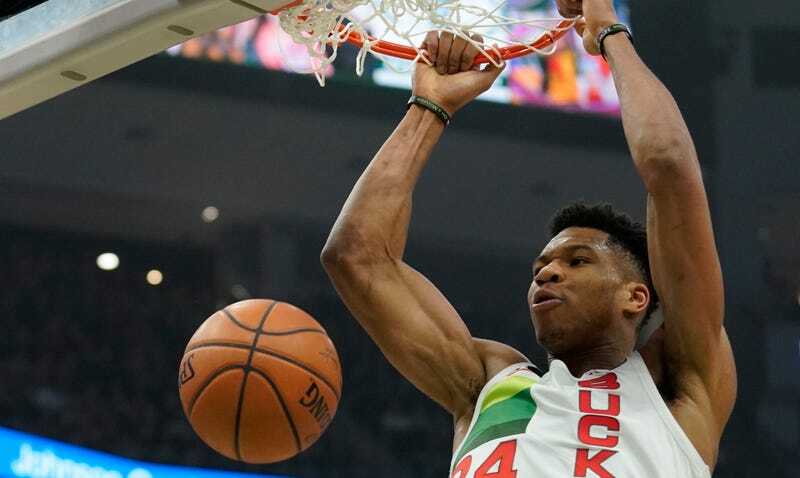 Giannis Antetokounmpo’s primary offensive strategy is to run at the rim as rapidly as possible and then use his condor arms to get the ball as close to the hoop as he can before just kind of depositing it into the rim. Sometimes he doesn’t even need to move to cram it home, because he’s got arms like an octopus. He’s taking 73 percent of his shots within 10 feet, and he has over four dunks per game. None of those have been better than the one he deposited onto Jon Leuer last night. Giri said this was like a mousetrap snapping shut, which, yeah.